Healthcare costs in the United States have been soaring for a while and have now reached a point where they are unaffordable for many people. It is estimated that U.S. healthcare spending grew 5.8 percent in 2015, reaching $3.2 trillion, or $9,990 per person. As a share of the nation's gross domestic product, health spending accounted for 17.8 percent. The U.S. health insurance sector is under tremendous pressure to grow while maintaining a healthy bottom line. The reimbursement headwinds from CMS (Centers for Medicare & Medicaid Services) have never been stronger. At the same time, Medicaid and Medicare are among the fastest-growing lines of business for most health plans. In order for health insurance companies to grow, it is imperative for them to look at ways to reduce their overhead and divert the revenue from profitable members to the growing expenses of the unhealthier member population. To better prepare themselves for the new normal of health insurance, health plans need to start looking at alternate and innovative business models to optimize their spending, increase automation, and focus on keeping patients healthy. They need to also focus on virtual care, readmissions prevention and effective care management. One path to business optimization is to look at risk adjustment for Medicare Advantage patients. The Medicare Advantage (MA) program is run by private health plans, where CMS wants an insurer to maintain a proportion of enrolled population. The patient population that chooses Medicare Advantage (MA) includes individuals with a wide variation in health and disease status. As millions of baby boomers enter the Medicare system, attention is turning to how to effectively address the high incidence of chronic illness among Medicare beneficiaries. According to CMS data, over two-thirds of Medicare beneficiaries, or 21.4 million people, had two or more chronic conditions in 2010. When reimbursing health plans, CMS calculates the amount per member per month based on a weightage associated with chronic conditions of each MA member. MA benchmark base rates are determined for each county and are then risk-adjusted for each enrollee to account for the cost differences associated with various diseases and demographic factors. The weightage is further calculated based on the age, gender and chronic conditions of the population. If no chronic conditions exist, the age and gender are considered for the weightage calculation. At times, the weightage calculation is incomplete or might carry incorrect diagnosis codes. These incorrect and incomplete diagnosis codes are causing health plans to lose millions of unclaimed dollars. Health plans need to look carefully at these situations and adopt solutions, such as providing their own risk scores of the enrolled population. Also, machine-learning algorithms could find unrecorded conditions of each member based on the history of claims and matching symptoms. The proper documentation of clinical diagnosis codes would not only help health insurers to improve their bottom lines, but would also meet the objectives of Medicare Advantage by identifying and treating illness in early stages. It could also lead to early intervention and related services members need based on their conditions. Another area of optimization is to reexamine the factors impacting star ratings of health plans. CMS leverages a value-based payment model for health plans with Medicare enrollees, including Medicare Advantage and prescription drug plans. All the Medicare health plans are assigned an overall star rating of one to five based on the plan’s performance against 46+ measures as defined by the CMS. It is important for health plans to maintain star ratings of three or more. If they don't, they could be forced to exit the business. On the other hand, a health plan that is able to improve its star ratings from three to four could get a $50 per member per month bonus payment from the CMS. The higher the star rating, the better the CMS incentives health plans receive. For example, CMS offers around 70 percent rebate for plans with 4.5 stars, while a five-star plan can market and sell to potential enrollees throughout the year. Execute continuous improvement cycles by translating measurement goals into provider contracts with member-level target plan. Gain actionable insights for the improvement of star ratings through prospective gaps in care and leveraging member prioritization algorithms for a focused outreach. Provider engagement- financial incentives to providers who are making progress toward value-based care—which is to improve outcomes while reducing costs. Risk adjustment and star rating improvements are just two examples of initiatives that could give health plans a better bottom line and a well-managed member population. 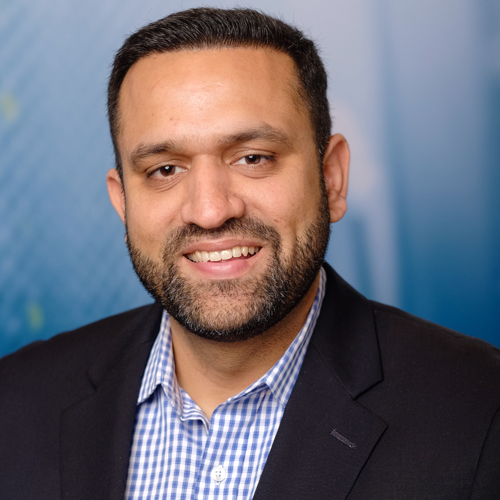 Rohit Bhardwaj is the regional vice president with Edifecs, Inc., a healthcare software company based of Bellevue, WA and is the founding member of a risk adjustment and IOT of medical devices startup Company.